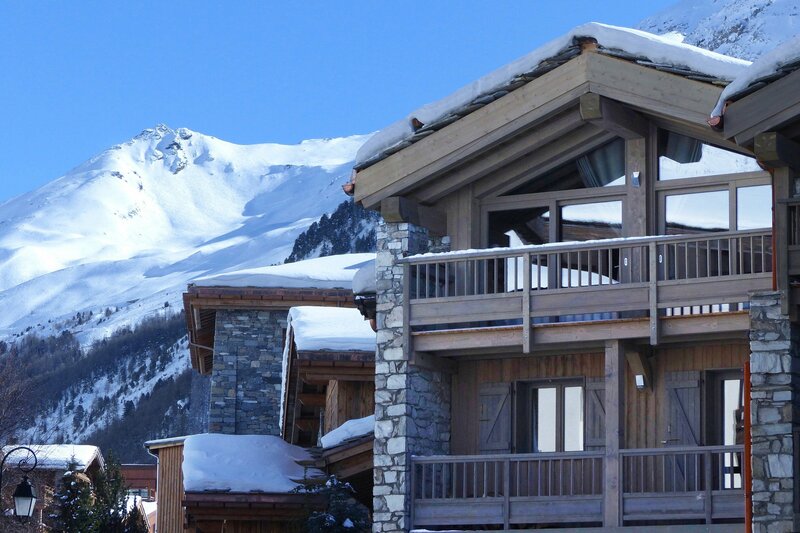 Twin/double (13′ x 10’3″) on upper floor with en-suite shower and wc, and a balcony facing west towards the centre of Val d’Isère and Bellevarde. 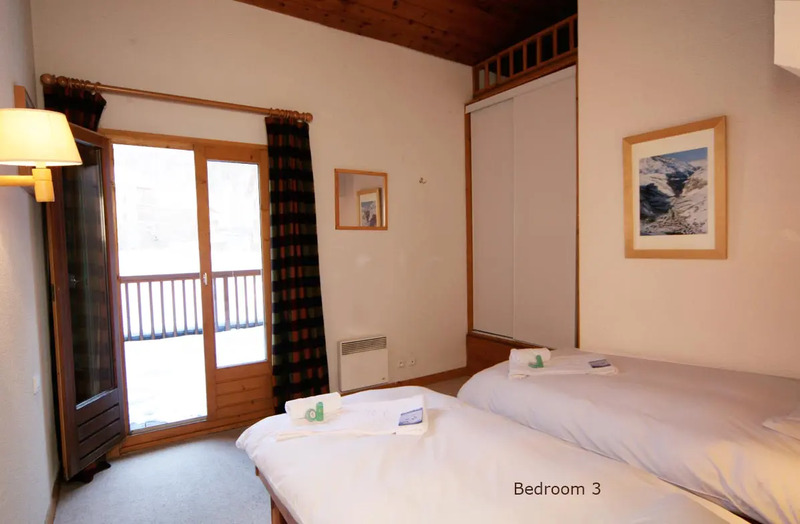 Twin/double (13′ x 10’3″) on upper floor with private shower and wc, and a balcony facing west towards the centre of Val d’Isère and Bellevarde. 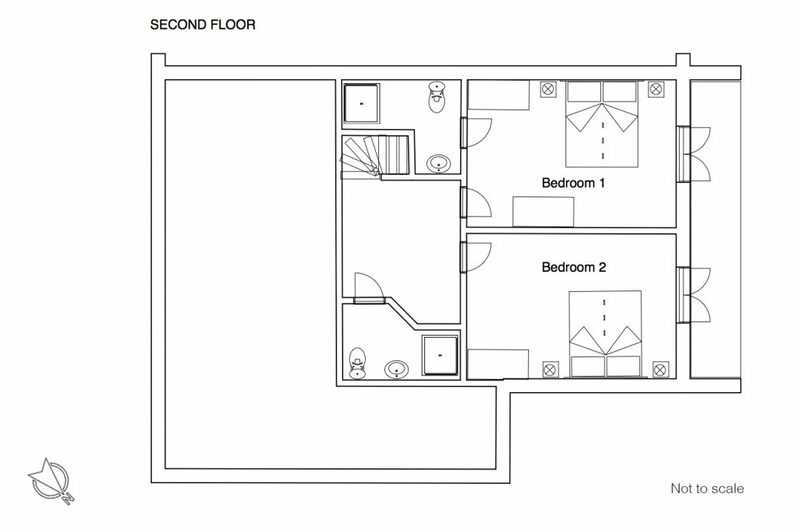 Twin (10’8″ x 10’3″) on the lower floor, with east-facing balcony. Twin (10’8″ x 10’3″) on the lower floor. A wc and a bathroom (containing bath and shower) on the lower floor outside bedrooms 3 and 4. Each upper floor bedroom has its own shower and wc. (19′ x 12′) plus open-plan kitchen. Balcony, log fire, and underfloor heating. Chalet Charlotte is marvellously located on the edge of the old village, about 100m from the corner of the nursery slopes. You can ski to and from this point. 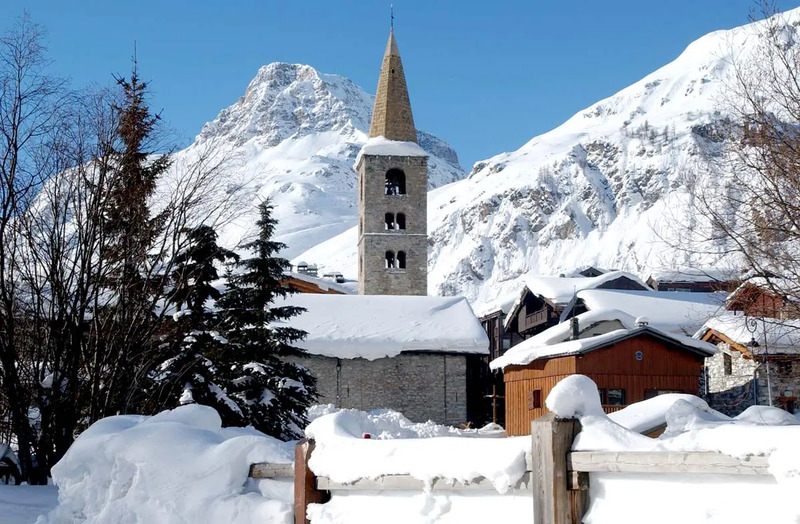 Situated as it is on some of the most hallowed ground in the skiing world, Charlotte is not our roomiest chalet, but it is a lot more spacious than it ever has been, because the top half of the building has been re-built and extended. 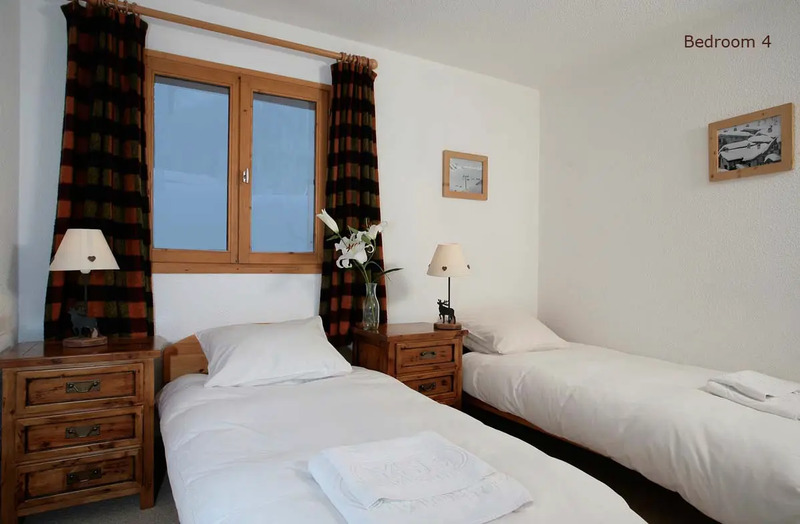 The two upper-floor bedrooms have doubled in size and gained big french windows and balconies with views of Bellevarde. 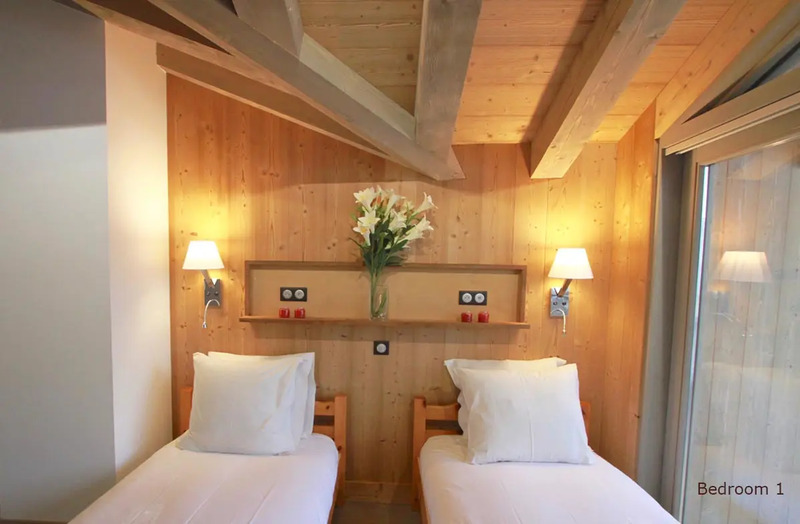 These rooms also have the option of good-sized single beds or six-foot doubles (ideal for those who share a bed and those who don’t, for those who hope they might or swear they won’t…). As an extra touch, each bedside in bedroom 1 and 2 has its own USB port. 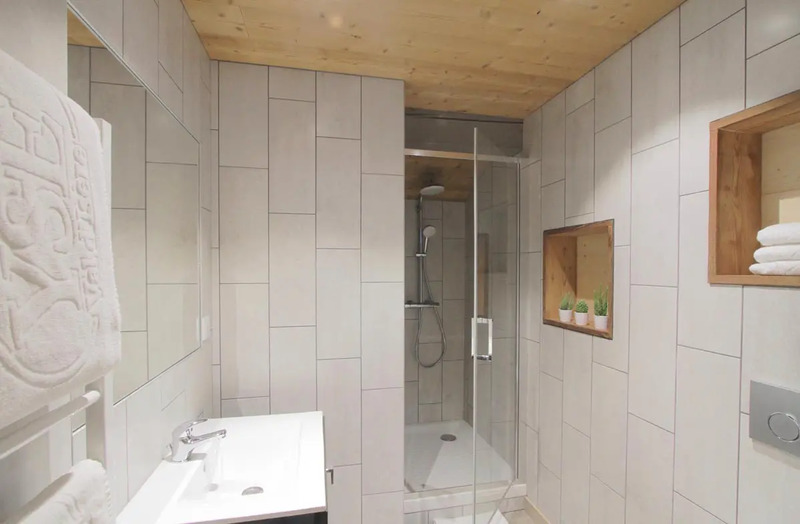 As well as the extra space, the chalet gained an extra bathroom upstairs, so there are now three showers, one bath and three loos for its four bedrooms. 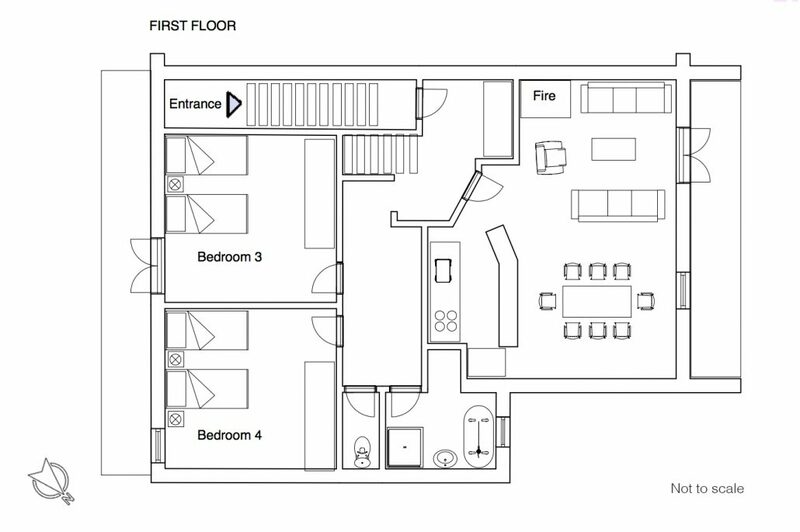 Each of the top two bedrooms has its own shower and loo, while the lower floor is unchanged: two good bedrooms, a bathroom containing both bath and shower, and a separate wc. Next to those is the sitting-dining room. With its open-plan kitchen and log fire it is definitely on the cosy side – a little too cosy to share with strangers, so we seldom recommend it to guests who don’t already know each other – but for eight friends, four couples or a family or two, it is perfect. 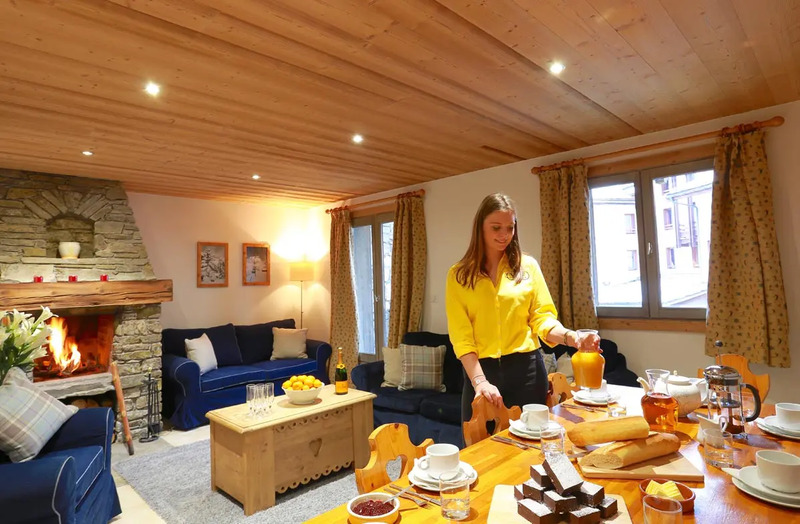 But for eight people (who can handle a steep staircase), looking for a really inexpensive four-bedroom, three-bathroom chalet with heaps of atmosphere in a brilliant position, Chalet Charlotte is the best!